Electricity cannot be stored economically, so at any moment in time, electricity demand and supply must be equal. Every second of every minute of every hour, National Grid must maintain this vital balance; too much electricity, and equipment could fail, too little, and there is a risk of blackouts. Demand Response technologies help National Grid to manage peaks and troughs in electricity supply and demand – for example when everyone turns their kettles on at the end of big TV show or when a power station fails – and in the process, help to reduce UK carbon emissions and provide a more robust energy network. of a cash drain is too good to miss, but with the complexity of the current energy market, an expert is what is needed. Our partner provides Dynamic Demand which is the only demand-side dynamic frequency response service providing what National Grid terms Firm Frequency Response. Dynamic Demand is a software based technology which operates with a range of equipment including fans, heaters, pumps, chillers, refrigerators and air conditioning units and turns them into smart devices which can react instantaneously to changes in electricity supply and demand across the UK network. The technology is installed within the equipment’s controls, where it constantly measures electricity consumption and monitors grid frequency. If it detects that the frequency is imbalanced, i.e. deviating from 50 Hertz, it will temporarily adjust the equipment’s power consumption up or down to help balance the grid. 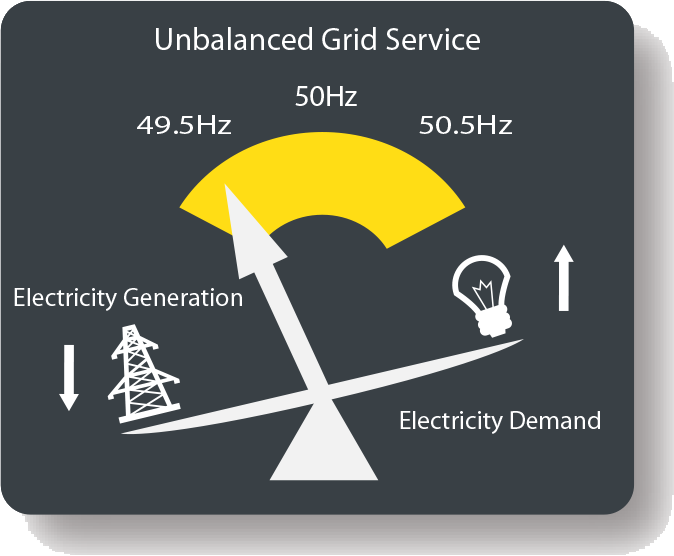 Dynamic Demand provides a service to National Grid when electricity demand is greater than supply (Low response) and when supply is greater than demand (High response). The service is used 24/7, 365 days a year to help National Grid balance electricity supply and demand on a second-by-second basis. Because the service provides both a High and Low response service it also generates the highest returns when compared to other Demand Response technologies such as STOR or FCDM. The service operates on a rules based platform and does not take assets outside of existing operational requirements or disrupt business process. To find out more and see if your business could take part call us on: 01977 790211, email: sales@northernutilities.co.uk or use the form for more information. STOR helps National Grid to manage a shortfall in supply by either providing additional electricity generation from spare plant capacity or back-up diesel generators or by reducing electricity demand. At least 90% of STOR provision comes from increasing generation whilst the remaining 10% comes from demand-side reductions. STOR services are used by National Grid when there is a shortfall in electricity supply resulting in what is known as a grid ‘event’. This usually means the frequency has deviated from 50 Hertz by greater than 0.2Hz. For example, if an interconnector to France failed. Whilst Frequency Response services provide an immediate response (0-30 minutes) STOR services can help National Grid to meet demand in the mid-term (20 minutes – 2 hours +) while larger, more permanent generators can be brought on line – or back on line in the event of a failure. FCDM involves almost instantaneously interrupting the supply of electricity to large industrial loads in the event of a major grid ‘event’ e.g. a power station failure. It provides an immediate response to a sudden lack of supply or surge in demand which needs to be managed very quickly. Owners of large electricity consuming sites – such as cement kilns or smelting plants – will fit a relay to their loads which is triggered the moment the grid frequency drops below a certain value. National Grid use this service as the last frequency-control backstop when the electricity grid frequency falls more than a given amount below 50Hz. The ‘trigger frequency’ for FCDM is typically 49.7Hz, but that may vary across contracts. Providers of FCDM will have their electricity supply automatically interrupted when the system frequency transgresses the low frequency relay setting onsite. FCDM-contracted loads are typically called upon 10-30 times per year. DSBR is targeted at large energy users willing to reduce their demand during winter weekday evenings between 4 and 8 pm in return for a payment. The service is aimed at those businesses with the flexibility to offer a load shifting/load reduction service who are willing to voluntarily reduce their demand during these periods in return for payment. DSBR will provide a service between 4 and 8pm from November to February during 2014/15 and 2015/16. It is intended to help tackle system capacity constraints and will only be called upon during serious supply shortages. The Triad refers to the three half-hour settlement periods with highest system demand betweenour settlement periods with highest system demand between November and February, separated by at least ten clear days. National Grid uses the Triad to determine charges for demand customers with half-hour metering. Triad Management is a way for companies to predict when these windows will be and reduce their electricity demand during these periods in order to avoid significant fees. National Grid uses the Triad to incentivise large energy users to shed load during the peak periods of demand between November and February each year. Typically they occur on weekday afternoons / early evenings but they are only determined after the event using settlement metering. 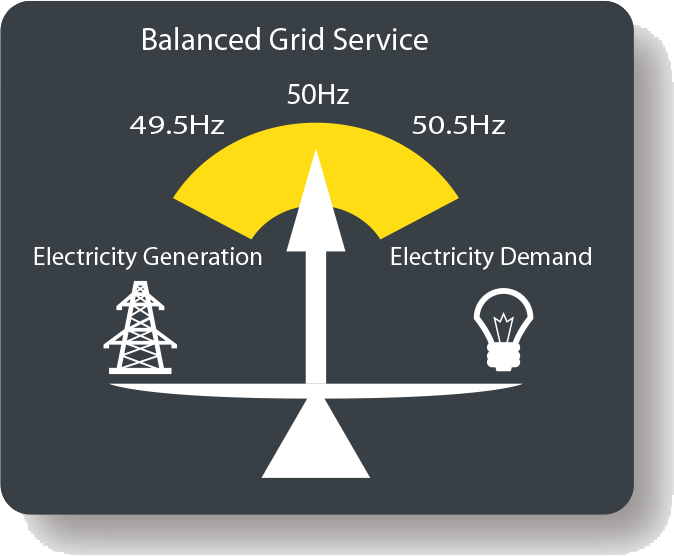 BSUoS charges cover the cost for all the Balancing Services which National Grid needs to balance supply and demand, including Frequency Response, STOR and FCDM. The total cost of BSUoS to National Grid is about £1 billion per year and the BSUoS charge makes up about 3% of a typical electricity bill.